The aim of the Queensland Blind Association Inc. (QBA) is to provide real assistance to its legally blind members so they can live in a safe, secure social environment in comfort within the community. Queensland Blind Association Inc. is a not-for-profit independent blindness organisation and is not affiliated with any other blindness agency or Government Department. However, we strengthen and build strategic partnerships with other agencies to promote better outcomes for our members. Many blind people are restricted to pension benefits making it difficult for them to afford the specialised assistance and equipment they require. The Association’s focus is to provide financial assistance towards necessities. This may include financial assistance towards home loans and house maintenance, white goods and some furniture items, water tanks, solar panels, air conditioning, electricity, rates or rent and tea/coffee vouchers. Other financial assistance may be available towards the purchase of computers and talking software, smartphones, tablets and magnification units strictly for personal use only. Members may also be eligible for back to school and tertiary fees assistance and the most recent benefit, assistance towards funeral expenses. The Association offers through its office or accessed through our online store, smaller specialised equipment. This equipment includes a range of talking items including clocks, watches, bathroom and kitchen scales, compasses and calculators. Braille and low vision clocks and watches, magnifiers, kitchen utensils, games, fit over sunglasses, writing aids and much more. While the development of technology has widened the educational and employment opportunities for people with a vision impairment, so has the range of equipment and software grown greatly and continues to expand, increasing the option available for specific tasks. The objective of the Association is to keep up to date with the items available and pass on to members the benefits of the latest equipment and technologies. Within the Association we work as a team to provide a service to our members that support fairness, dignity and respect. 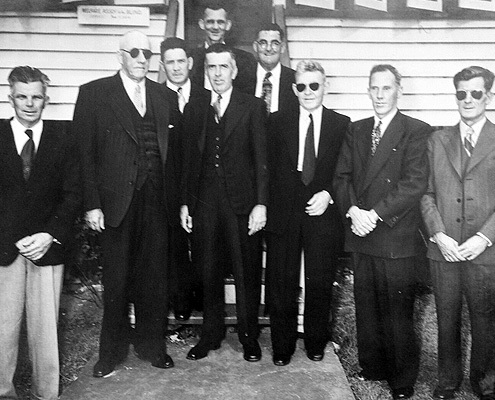 History of Queensland Blind Association Inc.
Queensland Blind Association Inc. (QBA) was established by a small group of Blind people in February 1939, just prior to World War 2. It was known then as ‘The Blind Person’s Building and Home Maintenance Society’. 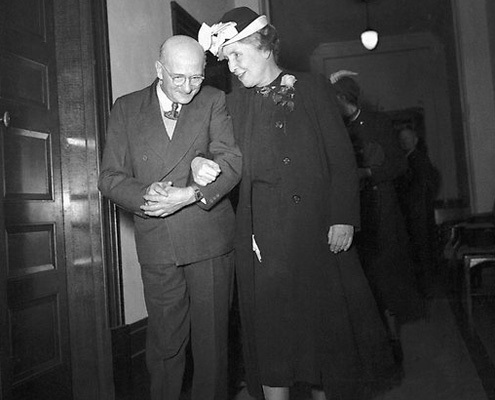 Along the way we have had a couple of name changes from Welfare Association for the Blind and then to our current name of Queensland Blind Association Inc. The very first meeting to form the Association was held in a house in Young Street, Annerley. 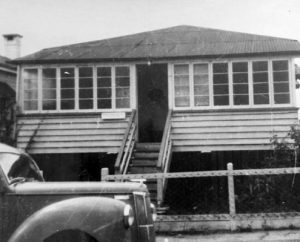 For the next couple of years meetings were held in the then President’s home in Brisbane Street, Annerley. As the Association grew in membership a house was bought in Hubert Street, Woolloongabba. When funding became available the house was renovated to accommodate 2 small offices one of which shared the board room table and a store-room for filing cupboards and at the back of this a hall was built to accommodate the Associations meetings and the Member’s Christmas party. This Hall had a dual purpose in providing extra income as it was a suitable venue for hiring for social and club meetings. As the Association’s membership grew so did our requirements to have more space. So after 40 years we decided it was time to move and we built our current headquarters in Warwick Street, Annerley which was officially opened on the 19th February 1991 by the then Governor of Queensland Sir Walter Campbell. QBA is a Brisbane based organisation directing our services throughout the state of Queensland. Membership consists of legally blind people from the age of 16 onwards. It is governed by a Board of Management of eight who are also members of the Association. Our Patron is Hon. Justice James Douglas. We are proud of our achievements and the journey we have travelled providing real assistance to many people. We know the foundation that has been laid throughout the past years will provide a solid platform whereby we can continue to support Queensland Blind people for many years to come. A team dedicated to promoting understanding and providing support for the visually impaired community of Queensland.